According to Apple, Safari is the world’s fastest desktop browser. It beats all other browsers on different benchmarks in testing on macOS. In our testing, we discovered that on High Sierra, Safari consumes fewer resources from your MacBook when compared with some of the other browsers out there. 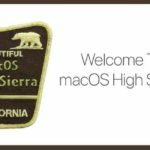 So we compiled a list of our top 5 Safari tips for macOS High Sierra. 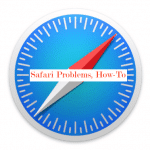 Apple has always strived to improve the Safari browsing experience. 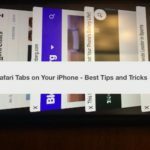 In this short article, we will provide you 5 tips that walk you through the new Safari Privacy options, some of our favorite shortcuts and a tip to make it easier for you to use bookmarks from other browsers in Safari. With macOS High Sierra, you can use some of the same Safari Privacy options made available in iOS 11. Click on Safari > Preferences > Privacy. 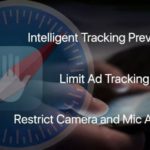 Enable the ‘Try to Prevent Cross Site tracking” function to prevent websites from tracking cross-site behavior. 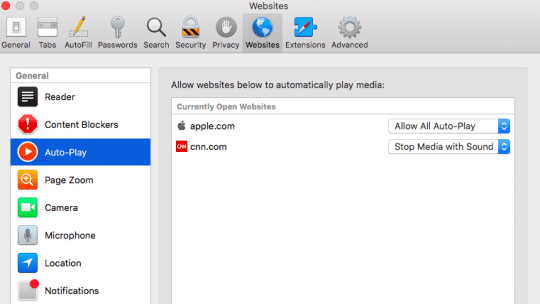 You can set up privacy options for the websites that you visit on a frequent basis by clicking on Safari > Preferences > Websites. This is a new function made available in Safari. It allows you to set settings up by each website that you visit. This works when these websites are opened on different tabs in Safari. For example, click on Auto-Play on the left panel and then choose the website on the right. You can customize by choosing Stop Media with Sound to turn off pop-up ads that have sound in them, or choose Never Auto-Play to stop the media based content from auto-loading in your browser. Two new features that we love are around the camera and microphone access. 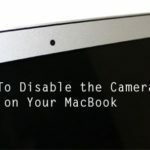 You can now set these up to not allow websites to access your camera or microphone on your MacBook without your permission. Click on the Camera button on the left panel. You can choose between Ask, Deny or Allow option for a given website that you have opened on your browser. We suggest that you switch this to ‘Deny’ for privacy reasons. The same is true for Microphone as well. The good old shortcut of Pressing (Command + Shift +\) lets you preview the thumbnails of all your open Safari tabs. You can use Ctrl+tab keys to advance through the tabs easily. 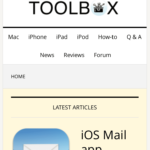 Hold Option key while clicking the ‘x’ on a tab in Safari to close all tabs except that one. These two shortcuts are really handy for MacBook users who tend to open links in new tabs and work with multiple Safari tabs on their computer. If you use Chrome or Firefox on a regular basis and would like to try out the new Safari on your MacBook running High Sierra, you can easily import your favorites and bookmarks into Safari and get started. In order to import bookmarks from other browsers, Choose File > Import From > Google Chrome or File > Import From > Firefox, then select the items you want to import. You can do this any time after you start using Safari, even if you imported items already. We hope that you found these tips helpful! 1. 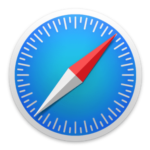 Safari 11.0 Privacy tab – Notice it says “TRY” to prevent cross site tracking. It’s still going to happen. 2. 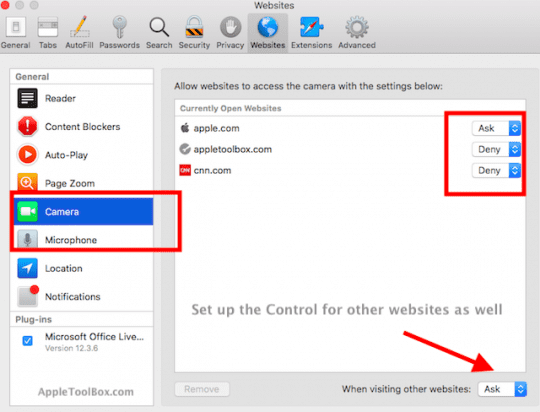 Safari 11.0 Website tab – There should be a preset to DENY ALL camera and microphone access to any website unless opted in (current preset is ask). Making users specify each website is tedious, and the preset being “ASK” means it will be ignored if websites wish to. Only solution is to hit Option + Command + R to reset tracking, history, cache crap.